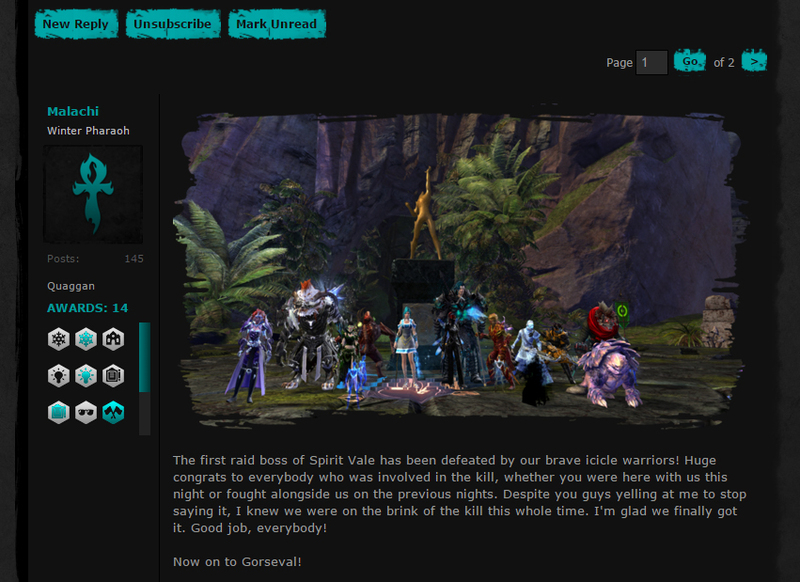 During my time conquering Guild Wars 2, I formed a guild called Cry of Winter. 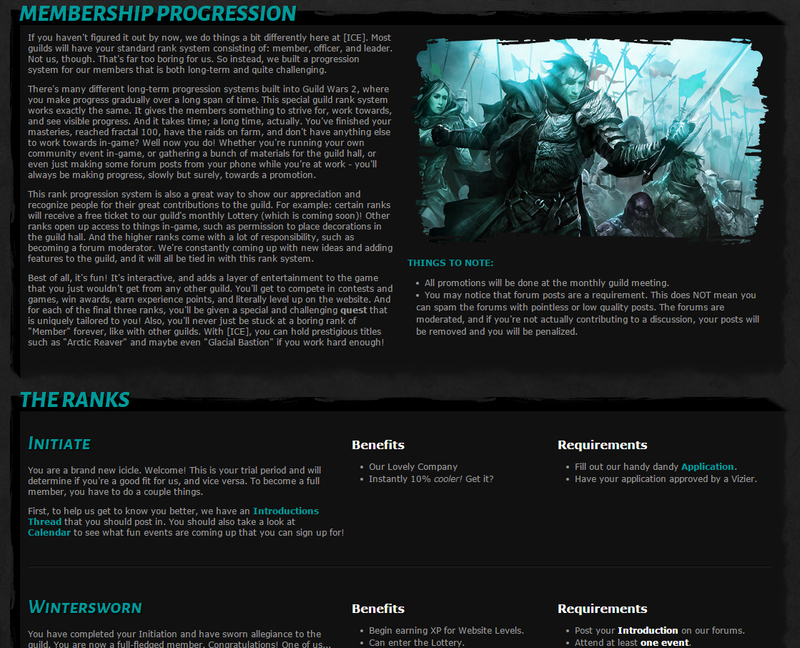 I was determined to make this the best website that any guild in any game has ever had. I used Enjin as a base, of course, and then I packed it full of features and customizations. Just a week after we launched, we were featured in the Enjin Showcase, and went on to win Site of the Year! Some of the custom features I developed included an Awards system that allowed members to earn achievements on the profiles, and a Points system so they could keep score and measure who was contributing the most. Enjin is known for having the most powerful forum system for online gaming communities. It was only natural, then, that I would completely gut their forum system and rebuild it with my own design! 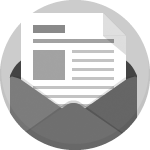 Each forum had its own custom icon. I made it very easy to see which forum had new posts. Plus all of the other lovely Enjin features were still there. 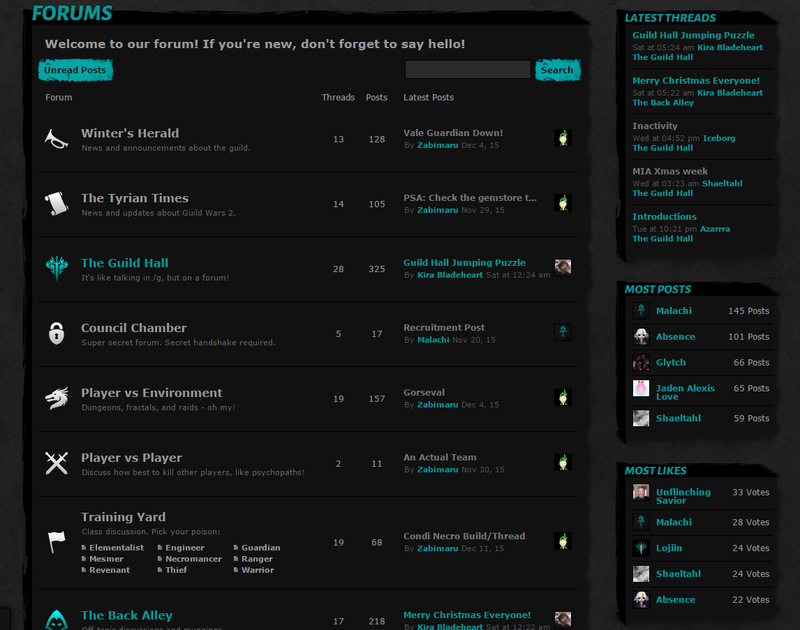 And then I added in a Points system into the forums. Members would earn points by posting and liking others’ posts. They would even earn achievements for reaching ‘x’ number of posts/likes. It was this custom design and extra features that Enjin highlighted as one of the best parts of the Cry of Winter website. 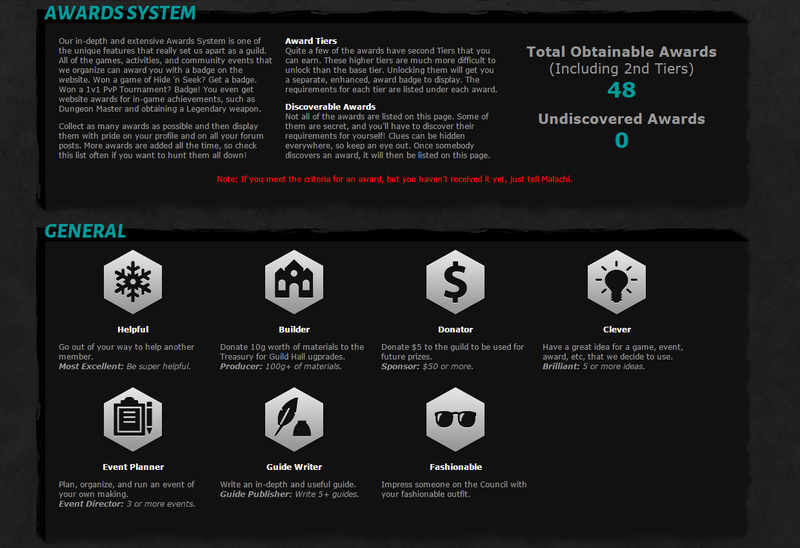 By far the coolest feature I’ve ever seen in a guild website, our Awards & Points systems made all the other guilds totally jelly. Our members could earn achievements to proudly display on their profiles. Awards could be earned through actions both on the website and in-game. All of our in-game community events and competitions had their own achievements, and the members loved to compete to see who could get the most badges of honor. Members could also earn Points, which was a great way to keep a literal score and see who was contributing the most to the community. Points were earned from a variety of ways, including forum posts, donations to the guild bank, being prepared for raid nights, and more. I’ve never seen such a productive and friendly guild, and I believe it was due to this system.